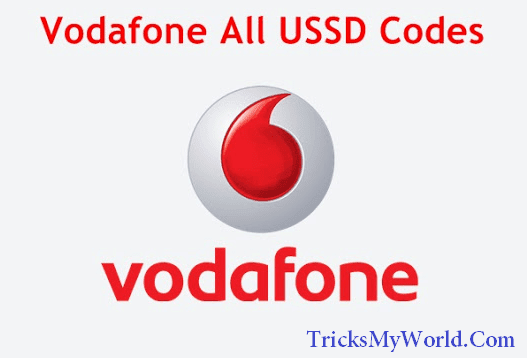 Hello Friends, If you are Vodafone customer/user then this article very useful to you, because in this post I will give you All Vodafone USSD Codes list to Check Main Balance, SMS balance, Vodafone Offers, Alerts, 2G and 3G Internet balance, Check Own Mobile Number , Free Minutes, etc. Vodafone has many USSD Codes for check and activate Vodafone services. So it's very difficult to remember all these ussd codes. Also check Airtel All USSD Codes List. If you want to check your vodafone balance or 2g/3g internet balance then you can dial following Vidafone USSD Codes. Here I am giving Vodafone all USSD Codes to check main balance, sms ,2g and 3g balance, offers and alerts etc. Simply dial following ussd codes to check and activate your Vodafone services. All USSD Codes are tested and working fine in Delhi NCR and Tamil Nadu state. So I hope this all ussd codes work fine in your states. If the codes working fine to you then please comment below with your State name. Also check: Airtel All USSD Codes List. NOTE : If you are facing any problem, then you can contact Vodafone Customer Care Service ( Dial 198 Toll free ) to make any complains or get details.